BRDC Full Member Ryan Briscoe once again narrowly missing out on taking the win in the latest IndyCar race, this time in Texas. 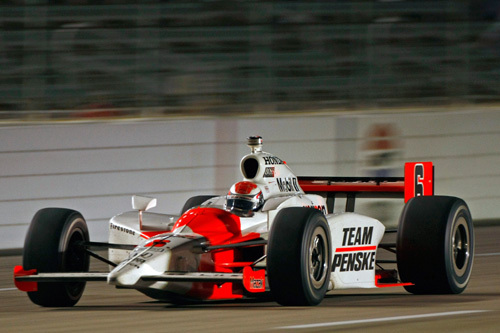 For the second weekend in a row Helio Castroneves snapped the victory from Ryan, who had been dominant for most of the race. Fellow BRDC Full Member Dario Franchitti finished in fifth place just two places ahead of Dan Wheldon while the final BRDC Full Member on the track, Justin Wilson, was 15th. In the GP2 race in Istanbul, BRDC Full Member Karun Chandhok did not get a good start in the feature race and finished up at the back of the field. He did gain a few places during the race to claim 14th place at the finish. In the sprint race, Karun claimed another 14th place finish. BRDC Full Member Richard Westbrook finished the Porsche Supercup race in Istanbul in fourth place. He was in sixth after the first lap, but within the first couple of laps he was up to fifth. He then battled with Jiri Janak but managed to gain a further place to take fourth after they passed Austrian Norbert Siedler. BRDC Full Members Andy Wallace and Robin Liddell were competing in the Six Hour of the Glen Grand AM race over the weekend. Andy finished the higher placed of the two in 16th in the Pontiac Crawford while Robin was 20th in the Pontiax GXPR.